What is an Aura? What is it made of? Can you see it? AURA: a controversial little word, scientists don’t 100% approve, but in the holistic, alternative world of medicine the aura is an extremely important aspect of human health. The body is comprised of different systems; respiratory, digestive, nervous, circulatory, etc. which are each undergoing a series of electro-chemical reactions. The vibrations within each cell inside us causes a field of magnetic energy all around us. These magnetic and electrical fields are known as our ‘aura’, or ‘bio-energetic field’ and provide a sort of force field emanating from our bodies. 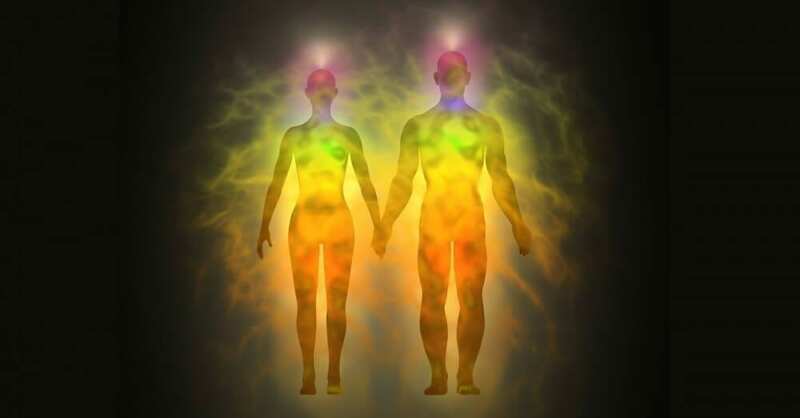 Our aura connects us with our environment, the way in which the two interact affects our energy balance essential to our normal bodily function. How does the aura work? The aura is said to be comprised of colours and the varying colours being emitted, along with how far the aura stretches, represents our emotional and physical health. A positive, happy healthy person will emit a strong, bright aura reaching far from the body. Someone suffering from depression would have a smaller, weaker, less colourful aura. The aura points to the meridian system whereby the seven main chakras (points in the body where energy flows through us) and 122 minor chakras deliver energy in and around the body. 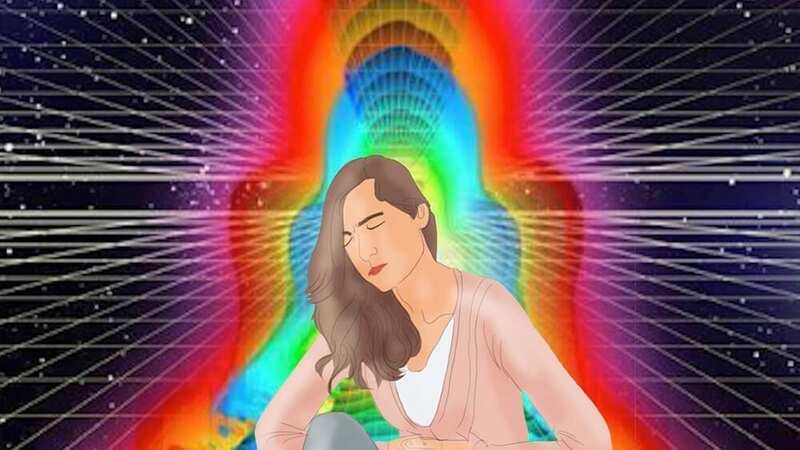 If there are blockages in this energy flow then the aura is also affected, a disruption in the meridian system can manifest as physical and emotional diseases and disorders. Alternative medicine practitioners believe that if we understand these systems within and surrounding our bodies we can first of all prevent such illnesses or at least begin healing immediately before the problem sets down roots. We would be able to ‘see’ that something was awry before any medical symptoms arose, and therefore read, decode and heal ourselves via this manifestation of universal energy. Energy healers believe that by mapping the magnetic fields in the space around the body we can provide a more accurate indication of physiology and pathology than with traditional electrical measurements. Can humans actually read the aura of others? So these energies we have been speaking of can be monitored and read by high-tech machinery, but how are these kinds of bio-magnetic fields actually perceivable and readable by humans? There is the obvious theory that a machine can only ‘feel’ so much, and that a human response to another is far more sensitive and “like-minded”, in that it contains the same energies with which to recognise and respond to another’s. It is not limited to a scale or a specified measurement. One person’s energy can directly affect another’s. There is always a flow of energy between all living organisms, as the vibrations are constant, a human has been armed with sensory organs which can consciously detect and monitor a relatively minor range of sounds, smells, sights, feelings and tastes. Then, there is all the rest out there, the grander scheme of things for which we are not equipped consciously…but it is there, conscious or not, and we are swimming around in it. Research shows that we do perceive some other frequencies even if only unconsciously. So, just because something isn’t perceivable consciously and directly according to our limited perceptions, does it mean it isn’t there, is it not real if we have not yet experienced it? Our perception is, after all, what we have already learned, what we already recognise. Perhaps if we practiced recognising other’s energy fields, which are proven to exist, they would become part of our perception. What is an aura made of? The aura consists of seven auric bodies or layers; each one having a unique frequency. These levels interrelate affecting our feelings, emotions, thinking, behaviour, and health. A state of imbalance in one of the bodies can therefore lead to a state of imbalance in another. Physical auric body – Physical sensations. Simple physical comfort, pleasure, health. The etheric auric body – Emotions with respect to self. Self-acceptance and self love. Vital auric body – Rational mind. To understand the situation in a clear, linear, rational way. Astral (emotional) body – Relations with others. Loving interaction with friends and family. Lower mental auric body – Divine will within. To align with the divine will within, to make commitment to speak and follow the truth. Higher mental auric body – Divine love, and spiritual ecstasy. Spiritual (intuitive) body – Divine mind, serenity. To be connected to divine mind and to understand the greater universal pattern. 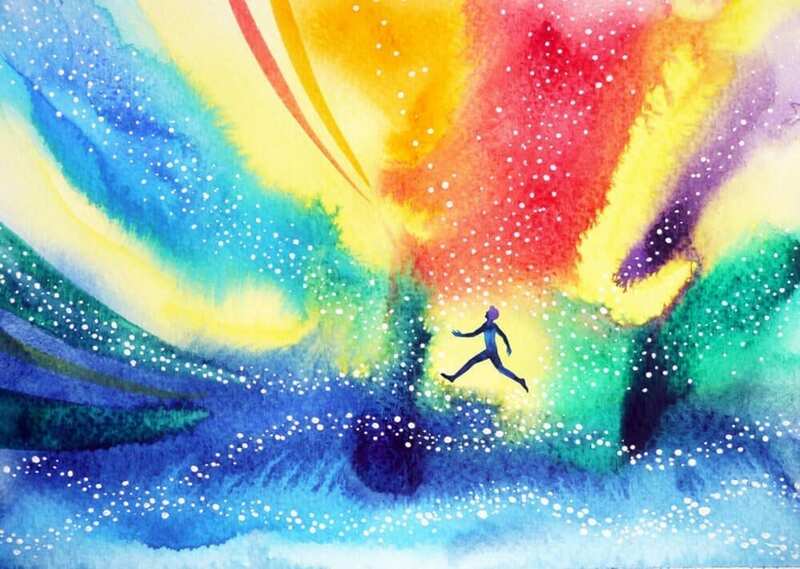 Aura colours and strengths vary from person to person, moment to moment, depending on their own individual energy, thoughts, emotions and experiences encountered as all these determine your energy field. Studying an aura can determine many things about a person at that given moment, physically, emotionally and spiritually. What you emanate via your aura reflects how you are physically, emotionally and spiritually at that given moment, thus determining your overall condition. The different colours of the spectrum represent this condition; to know your aura means you will also recognise when it is out of character by noting colour/shade differences and therefore recognise if something is wrong or needs attention. Dark colours represent negative energies whereas bright, light colours lean towards positivity. When it’s good (bright and pure) the red energy can serve as a healthy ego. Deep red: Grounded, realistic, active, strong will-power, survival-orientated. Light/bright pink: Loving, tender, sensitive, sensual, artistic, affectionate, purity, compassionate. This colour relates to self, relationships and sensory pleasures, reproductive organs and emotions. It is also the colour of vitality and good health. Bright beautiful orange: vitality, vigour, creativity, adventure, strong sexual desire, courage, excitement, sociable tendencies, attention to detail, intelligence. Pale orange: growing sexual desire, self-love, pleasure seeking. Dark, muddy orange: addictions, stress-related anxiety, lack of self-love, lack of desire to socialise. Yellow Representations: A show of mental activity such as decision making, rationale, will power and also life energy, inspiration, intelligence and optimism. Light or pale yellow: optimism, hopefulness, spiritual awareness, positivity, inspiration. Bright lemon yellow: fear of losing control, prestige, respect, and/or power. Clear gold metallic, shiny and bright: Highly spiritual, awakened, inspired, healthy boundaries, respectful, insightful. Dark brownish yellow or gold: strain, fatigue, stress, seeking, struggling to achieve or maintain the above. Relating physically to the heart and lungs, emotionally to growth, balance and change, and socially and environmentally to relationships and love. Bright emerald green: healing nature, love-orientated, humanitarian. Dark or muddy forest green: Jealousy, resentment, judgemental, victim-player, blame of self or others, insecurity, low self-esteem, lack of understanding or personal responsibility, sensitivity to perceived criticism. Turquoise Representations: Relates physically to the immune system. Sensitive, compassionate, healer, a potential therapist. Blue Representations: Relates physically to the throat, thyroid, personally to self expression, communication, order, and sensitively to being caring, loving, sensitive and intuitive. Soft blue: Peacefulness, calm, collected state, clear and communicative, truthful, intuitive. Bright royal blue: Clarity, highly communicative, highly spiritual nature, highly intuitive, generous. Dark or muddy blue: Fear of future, subconscious defence, closed, fear of truth, fear of consequence. Indigo & Violet Representations: These relate to our extra-sensory side, our third-eye and physically the pituitary gland, crown, and nervous system. When healthy they represent healthy intuition. Indigo: Intuitive, sensitive, deep feeling. Violet: Highly sensitive, wise, intuitive, psychic power, personally in tune, visionary, idealistic, artistic, cosmic. Lavender: Imaginative, visionary, dreamer, etheric. Muddy or dirty indigo or violet: disconnection from the world, problematic, closed minded, disbelieving. A healthy balanced person, and therefore aura, conveys all colours being soft or bright; muddiness or darkness signifies impurities. Perhaps we spend too much time looking at measurements and figures to determine our state of wellbeing. How many calories have I consumed? How much do I weigh? How many kilos have I gained? Perhaps we could gain better insight into our personal health – emotionally, physically and spiritually – by studying the natural signs emanating from our own being. To know our true selves and recognise when our energy is altered, thus being able to rectify when we are off kilter. The School of Natural Health Sciences offer a course on Aura & Chakra Energy Healing intended to take the student from beginner to knowledgeable practitioner. On this distance learning diploma course of 11 Lessons you will learn in detail about the body’s surrounding aura, and the body’s energy vortices, known as the chakras. This knowledge is the bedrock which will enable you to become a qualified practitioner and thus apply the knowledge effectively to restore equilibrium and health. A Practitioner/Therapist Level Qualification is awarded on successful completion of this course. See our Accreditation Page for the list of ‘independent accrediting bodies’ who approve and accredit our courses in the UK and around the World.